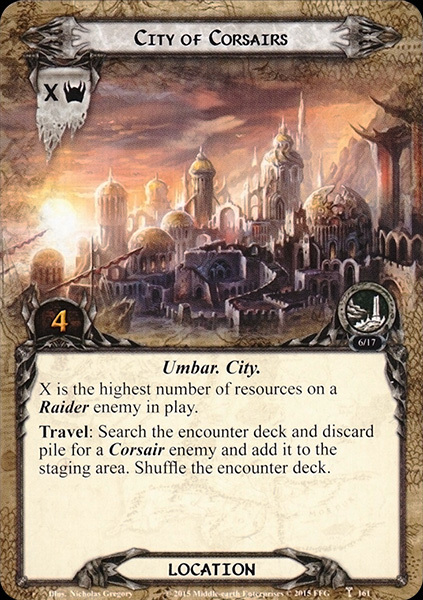 X is the highest number of resources on a Raider enemy in play. Travel: Search the encounter deck and discard pile for a Corsair enemy and add it to the staging area. Shuffle the encounter deck.